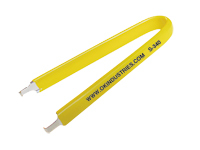 - Spring loaded one-hand design requires no pulling, just squeeze handles and chip is lifted from the socket. 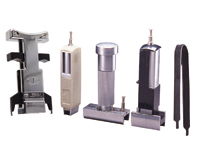 WK-7 includes DIP IC extractors and inserters to accommodate all IC's from 8 to 40 pins. 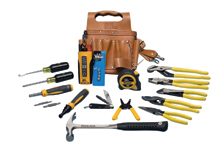 All tools are CMOS safe and include grounding lugs where appropriate except EX-1. The kit consists of extractors EX-1 for 8-24 pin devices, and EX-2 for 24-40 pin ICs, plus inserters MOS-1416, MOS-2428, and MOS-40 for 14-16, 24-28 and 36-40 pin IC's respectively. 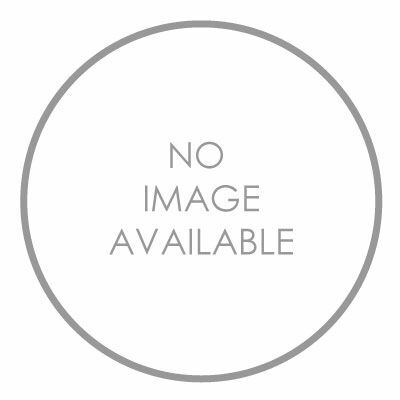 This is a one-piece insulated spring steel extractor used to extract LSI, MSI and SSI devices from 8 to 24 pins. Will remove all types of DIP/IC's without bending pins 4" long. 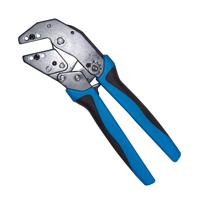 This fully ratcheted crimper offers exceptional performance. 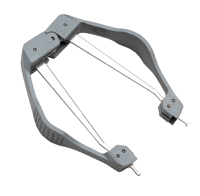 Designed for minimal closing force (higher crimp force produced with lower hand force), plus there is no break-over hand force making the last click easily achievable. The head is angled to lessen the need to bend the wrist awkwardly, die changes are made quickly and easily, ergonomic handles are dual components with a soft rubber insert plus the tool includes a built in safety release mechanism. 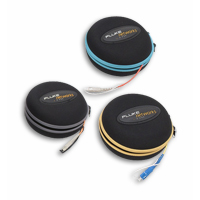 Very durable steel housing accommodates both Fiber Optic and Coax dies. Jonard ASW-12 Speed Wrench double ended 1/2"
ASW-716 measure 7/16" at both ends. ASW-12 measure 1/2" at both ends and ASW-916 measures 9/16" at both ends. Speed head makes tightening and loosening quick and easy, plus head is angled (15°) to ease access. 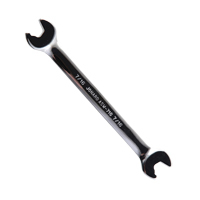 Speed wrenches are 6 1/2" long. High gloss chrome finish, and made of high carbon alloy steel.